It's the only watch you connect and build yourself! 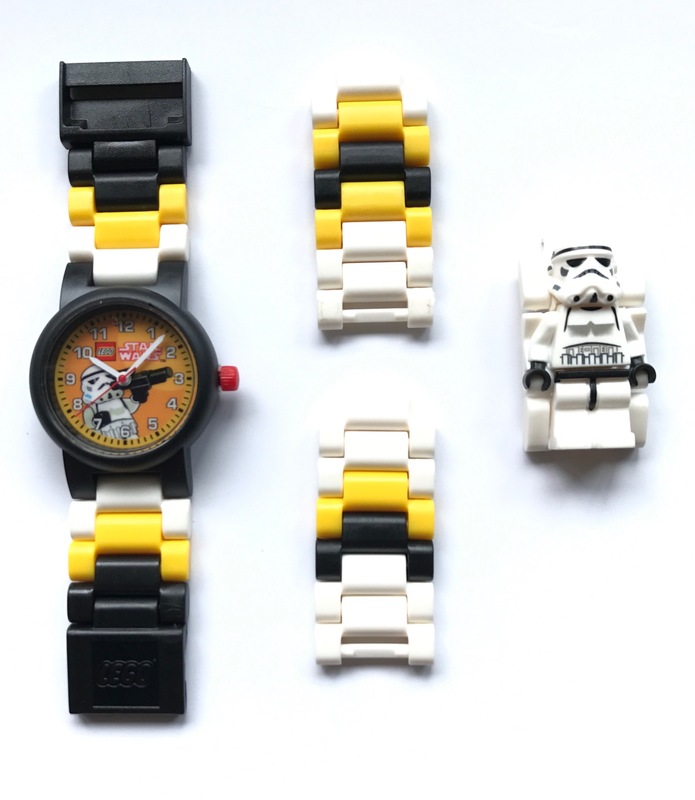 Start with the black, yellow and white pieces and build the watchband in any pattern and size you want. 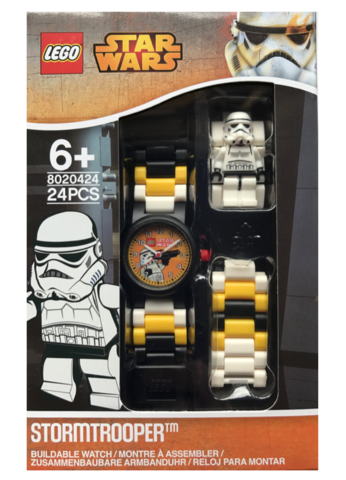 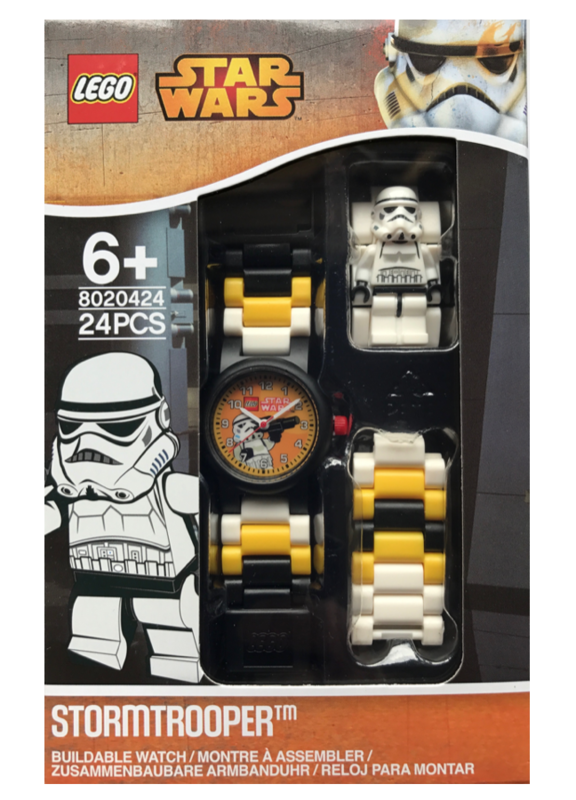 Add the studded bezel and minifigure, and you're ready to tell time the LEGO® Star Wars™ way!